For almost three decades, Coldstream Hills has built an enviable reputation for producing outstanding and distinctive wines from the Yarra Valley: in particular, the hero varieties of the region, Chardonnay and Pinot Noir. The Yarra Valley is one of Australia's premier cool climate wine regions, with renowned regions for Chardonnay and Pinot Noir. Coldstream Hill’s steep, close-planted vineyards lining the natural Amphitheatre have become an icon of the region. Wine writer, judge and personality James Halliday founded Coldstream Hills in 1985; although he has since retired from winemaking, James remains active within the business. The overriding winemaking philosophy has always been to express the individuality and nuance of each vineyard and to craft wines that demonstrate the uniqueness and pedigree of the Yarra Valley. Coldstream Hills has grown to be one of Australia's leading small wineries. Coldstream Hills maintains its boutique winery essence with a suite of winemaking and viticultural techniques to ensure a truthful expression of vineyard and wines that showcase the pedigree of the Yarra Valley. Gillian Ballance MS, DWS has spent the last 20 years working in the best fine dining restaurants, hotels and resorts in the United States. Ms. Ballance began her career at The Rainbow Room, one of the most beloved restaurants in New York City, and worked under Andrea Immer Robinson. While there, Ballance’s thirst for knowledge and passion for wine became evident, so when Andrea became the Beverage Director at the Windows of the World Restaurant, she took Gillian with her. Exposed to a cellar with over 100,000 bottles was the best education a passionate wine enthusiast could have and Ballance’s career soared. 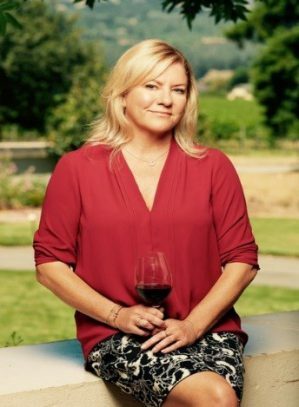 Her career includes opening Cello in NYC, Wine and Beverage Director at Bacara Resort in Santa Barbara, Plumpjack Group’s Wine Director, Wine Consultant and Sommelier for Bottega Restaurant in Napa Valley, Wine Director at the luxurious Cavallo Point. Currently Ballance is the National Education Manager at Treasury Wine Estates. Ballance has been featured in numerous publications like Wine Spectator, Food and Wine Magazine and an abundance of Trade publications. She has also judged at several wine competitions and conducts wine seminars and lectures across the United States. In 2012 Ballance passed the esteemed Master Sommelier Diploma Exam through the Court of Master Sommeliers, representing one of 30 women in the world. She received her Higher Certificate of Distinction as well as her Diploma in Wines & Spirits from the British Wine and Spirits Education Trust. In 2016, Ballance became an Approved Education Provider for the WSET Wine and Spirit courses. This year, Ballance was appointed to sit on the James Beard Foundation Beverage Advisory Board. Coldstream hills is located in the cool climate growing region of Yarra Valley. Cool temperatures and foggy mornings allow for slower ripening, natural yield control resulting in chardonnays with concentration but also crisp acidity. The profile is more apple and citrus vs. warmer climate chards that give more melon or tropical fruit. Lees stirring is also favorable to increase texture and richness in our cool climate chardonnay.